Would you like 10% off all your upcoming baby purchases? 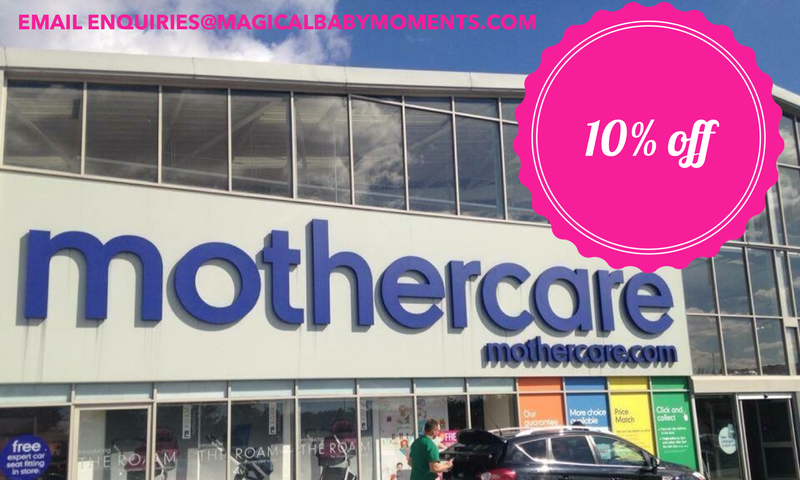 We all know babies are expensive, but Mothercare are offering a 10% discount to all shoppers in the Romford store. If you would like to get this voucher you can do so in three simple steps. 3. Email me at enquiries@﻿magicalbabymoments﻿.com, saying you would like the discount. Plus you can get a goodie bag too!! * Sale items/group offers may not be subject to the offer.